Today, our minds and hearts are in Ferguson. In the face of sadness and despair, we still find hope in this: people of all colors and faiths from all corners of the country are calling for justice for Michael Brown – on the ground and online. Their courage reaffirms our commitment to protect the tool that makes this work possible — a free and open Internet. Will you join us? Tell your story about how you use the Internet in your work for social justice. It’s really simple. It takes a few seconds to create your own 4-sentence fill-in-the-blank testimonial. We will then deliver your stories to Washington so that we can protect the Internet for our work in the world. As we shared on yesterday’s webinar, the killing of Michael Brown would not have become a national story without so many of us raising our voices online. Only after one million tweets did national media cover the story. The White House received nearly one million signatures in an online petition calling for a federal investigation. As we speak, people are building a groundswell for justice online. We need to protect the Internet as a vital tool for supporting Ferguson and communities across the country. Watch the webinar and tell your story. 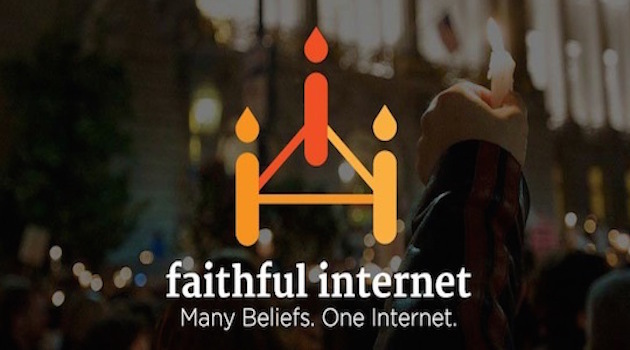 If you need resources or have questions, please contact us at info@faithfulinternet.org.